Broadridge Financial Solutions, a fintech provider, has acquired a part of the private fund regulatory reporting capabilities from PivotData, a data warehouse and compliance reporting solutions platform for the investment community, and its partner Sol Hedge. Broadridge will use their capabilities to help private fund asset managers meet their regulatory reporting requirements. These capabilities will complement Broadridge’s existing reporting solutions, with the aim to help clients gather appropriate data, calculate what information is needed from a submission perspective and submit data to the appropriate authorities. 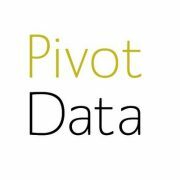 According to the firm, PivotData’s and Sol Hedge’s proprietary data transformation and normalisation and load (ETL) processes offer a “reliable, cost-effective and timely regulatory reporting solution”.